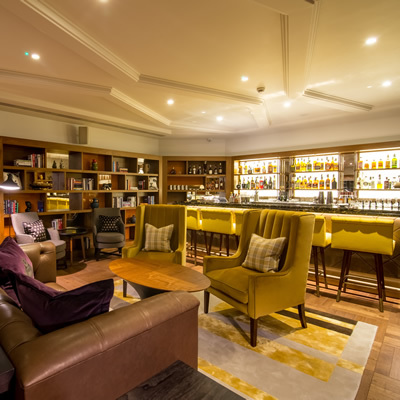 The Devonshire Club is a new private members' club that can be found in the heart of London, residing in Devonshire square. 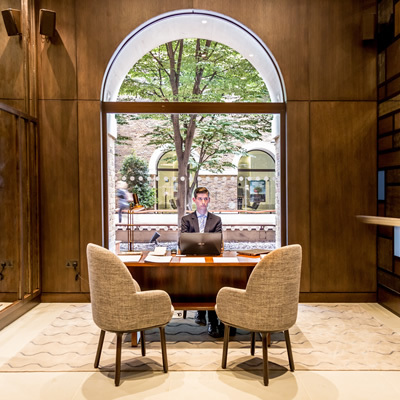 Devonshire Square is just a stone’s throw from Liverpool Street station, making for an ideal location on the doorstep of Shoreditch. You won’t need to venture far however, as the club is certainly not short of facilities. 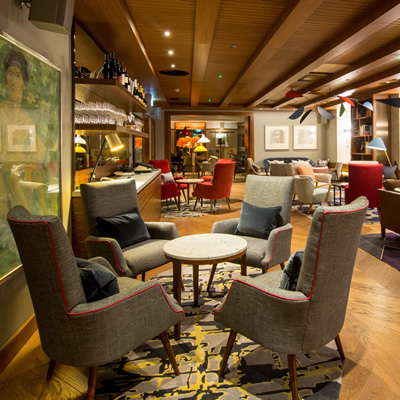 Inside, across two different levels, you will find several different bar areas as well as the Devonshire Club’s own restaurant, ensuring you’re never short on the refreshment front. The club also offers a fully equipped gym and spa for those looking to unwind. 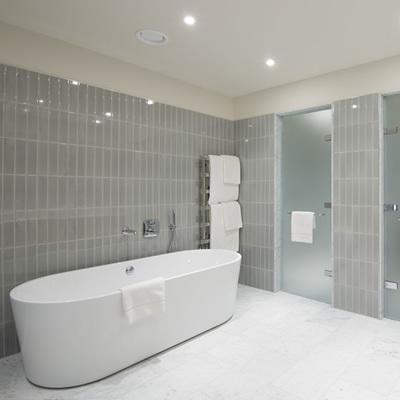 One of the most notable aspects of the Devonshire Club is that everything is absolutely immaculate. Working in its favour is its newness; you can even smell the newly laid carpets. Brian Clivaz is the mastermind behind this 19th-century regency warehouse coming to life. Working with March & White - largely known for superior yacht interior - the work cost a considerable £25 million; and it shows. Everywhere you look speaks of quality and luxury. The Devonshire Club is so new, in fact, when you’re there it still feels like you're one of the first to explore. This only adds to the club’s exclusivity, as it still feels like London’s best kept secret, and at the time of our visit, it wasn't too busy either. The hotel side of the club boasts 68 suites in total. The suite we stayed in had a very spacious bathroom area, complete with a deep, freestanding bath and enough space to dance yourself dry after a long, relaxing soak in the tub. The toilet remains behind closed doors, as is a separate shower unit. 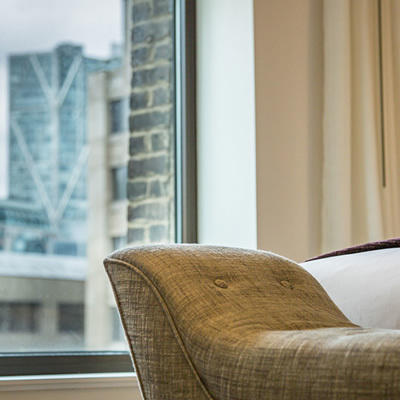 Each window in the suite adorns a cushioned seat, so you’re able to sit and watch the world go by, or nosily gaze into the offices that surround Devonshire Square. As well as an exceptionally comfortable bed that offers a great night’s sleep, the suite also has a sofa and table area, and a flat screen television that swivels either towards the bed or the living area, depending on your preference. The décor is modern, clean and a minimal take on design focused luxury. Both members and non-members are welcome to stay at the hotel, offering everyone a great opportunity to sample the club’s luxury. 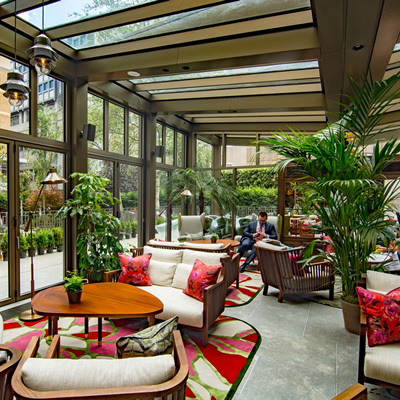 The Devonshire Club really is a everything a private members club should be. The service is flawless – friendly and professional, yet not intrusive – and the club offers all the facilities you could wish for. As private members' clubs come, this is a fine example, and one we can highly recommend.